A modern healthcare facility can't continue to live in the past and must modernize its ways if it wants to be able to meet the expectations of patients and the general public. FRANKLIN, Wis. - Jan. 18, 2019 - PRLog -- hile physicians may be good at doing their jobs, the utilization of modern management tools, including appropriate software and systems may be what's needed. Why introduce physician surveys into your practice? Do you want to get a good idea of how physicians are actually performing? While it can be extremely difficult to put a performance indicator on a doctor, physician surveys are a great way of collecting feedback. To begin with, you need to start thinking of patients like customers. A survey lets you know whether the customer leaves satisfied or not. It must be noted that the survey results aren't the ultimate measure of how good a physician is. Remember that this is only one factor. If a doctor is consistently getting to the heart of a patient's symptom and finding the best course of action, then this takes priority of how the patient feels. However, that doesn't mean that a few adjustments can't give a patient a better experience. It helps if they go away feeling that a doctor addressed all their concerns in a friendly and professional manner. 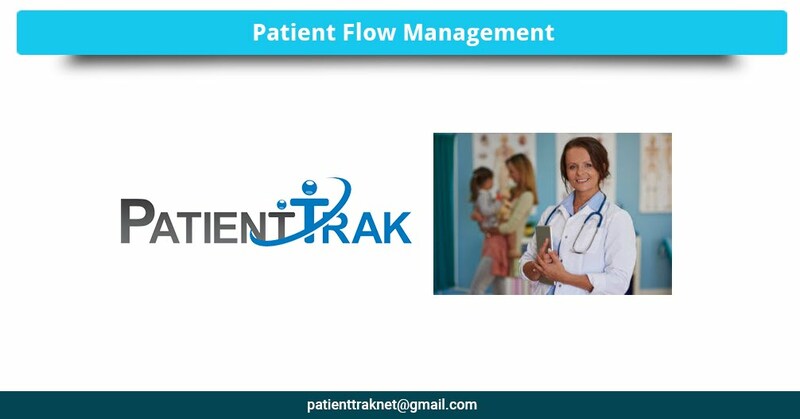 What is patient flow management? Essentially, patient flow is when a patient can make an appointment and be seen in a very efficient manner, without compromising the quality of care they are given. Ways to go about improving patient flow? One of the most effective ways to improve patient flow is to use a third-party system. Many healthcare centers don't have the specific resources in place, including qualified managerial staff to ensure a consistent flow of patients. Therefore, rather than hiring a management team, you can acquire a third-party system that has features that allow you to import appointments from the current schedule system in place while tracking certain activities that include treatment and check-in time. • Analyzing patient flow can help you get more organized. It highlights key issues that you may have been unaware of. • You can customize features that are appropriate to what's happening in your own healthcare practice. • It's important that at least one member of staff gets sufficient training on how to use the system, or you employ a specialist. • If you're not careful, however, 'analysis becomes paralysis.' While analyzing data can form an integral part of decision making for patient flow, it's important to look at and observe you're with your eyes what's happening. Remember that the utilization of tools such as physician surveys and patient flow analysis will only ever be effective if you learn and implement your findings. For example, let's say you discover that a particular department has a long waiting time during the mornings between 9 and 11 am on weekdays. If you identify the problem without doing anything about it, you will have wasted time and effort. What's important is that you follow through and get to the bottom of the problem and implement a solution that reduces the waiting time. Then, continue to measure in order to determine the solution's effectiveness. While running a medical practice in the past was revolved around the physician, times have changed. The expectations of patients are that they will be treated like first-class customers. They assume that you will already understand what their needs are and have a solution in place to ensure their experience at your center is as smooth as that of any customer service business.